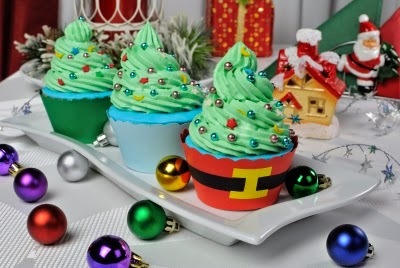 Tis the season for Christmas parties! December is when most people sabotage a year’s worth of hard training with a month of “Christmas cheer”. This leaves them frustrated and kicking off the New Year with more than a few extra unwanted pounds of fat. However, this does not have to be you. Here are some ways to help you get through this Christmas party season without adding unwanted body fat. If have not done so recently, think through and write down your goals. What do you want your body to look like? And, more importantly, what are you willing to work for? Think of leanness as a continuum. On one extreme, you have obesity and the other side you have totally ripped. Where do you want to be on this continuum? Suppose for example that someone told you his/her goal was to get really fat this Christmas season. What would you tell them to do? Eat everything in sight at every single party. Now think of the extreme opposite side of the continuum. Imagine someone told you that he/she was going to compete in a major physique show (e.g. bodybuilding, figure competitor) on January 1st. What would you advise this person to do during the month of December? Bring his/her own chicken breasts and broccoli and leave the party early enough to be home and in bed sleeping at 10pm. Now, most likely you will fall somewhere between the two extremes I just described. You have to decide where on the continuum you want to be and realize that as you move to greater levels of leanness the “rules” change. For more information on this, check out my post on Losing Weight vs. Getting Lean vs. Getting Ripped. Let your goal dictate your actions. We are all made differently and all have different genetics strengths and weaknesses. Some people seem to eat whatever they want and never get fat. Others can gain weight by simply smelling French fries. Have a clear understanding of your body and how easily you gain fat. Based on your goal and your body type, get out your calendar and make a plan. Strategically plan when you will allow yourself to have some treats. For most folks, this will be 1-2 times a week (if you have several functions, you will need to choose which ones you treat yourself on and which ones you hold fast to your fat loss plan). If you plan accordingly, you can use these treat meals to your advantage to help re-set your metabolism and raise leptin levels after more restricted eating. The key with this is that you have to be very strict the rest of the time (note: keep your cupboards free of junk and this will help immensely). For more information, check out my post on Cheat Days. I know this is a nutrition post, but I can’t help but bring up the importance of training to stay lean. I know that during the month of December you are crazy busy. However, if you can carve out 3-4 days a week of training, it will make huge difference. Stick with big, hard multi-joint exercises and alternate between upper and lower body movements or use whole body circuits. While most cannot out-train bad nutrition, you will have a lot more wiggle-room when it comes to eating if you are really training hard. Check out my posts on Time Efficient Training part 1 and part 2 and my post “A Simple Way to Focus Your Training” to maximize whatever time you can devote to training this month. 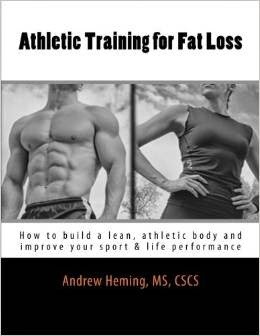 Also, if you want several complete training programs to help you maximize your training, check out my book Athletic Training for Fat Loss. For anyone trying to lose body fat, a food journal is a must. I will not take on fat loss client (online or in person) who is not willing to keep a food journal. Make a deal with yourself that even if you are going to go all out, that you will record what you eat. I know this sounds crazy, but this added accountability will make sure that a cheat meal does not turn into dietary insanity. A huge mistake many people make is that they do not eat before they go. For example, say you have a party at 7pm. You eat lunch at noon and then skip dinner knowing there will be food at the party – BIG MISTAKE! When you go that long without eating you will be famished by the time you get there and even the most disciplined people start to lose control when they go that long without eating. Instead, have a meal before you go loaded with meat, vegetables, and healthy fats and if you still need more, add some beans. Arrive at the party satisfied and you will have a much easier time sticking with your plan. With the exception of the super outgoing people, most people will at times have awkward moments at parties. Perhaps there is a lull in the middle of a conversation or you are transitioning from one conversation to the next. When this happens, most people fill these awkward moments by filling their mouth with something conducive to fat gain. Instead, when you arrive at the party, immediately grab a bottle or glass of water. Hold this in front of you like you are nursing a beer and keep it with you throughout the night. Anytime there is an awkward moment, have a swig or two of water. The best waistline-friendly foods at most parties are the raw veggies. If you can forgo the dip (hummus would be a good option), you can munch away without a worry. A Christmas orange is also a nice addition – just be sure to limit yourself to one or two. If there is quality meat such as turkey, have at it! Despite the warnings people often give to not eat too much turkey, turkey is not what causes most people to gain weight over the holidays. Roast beef is also a great option here. From these “safe” foods, you may (depending on your body type and goals) be able to venture into less safe foods. Nuts are normally a very healthy food. However, the ones you find at a party are often salted (making it easier to overeat) and sometimes flavoured. Use caution with nuts or you could easily find yourself consuming a few thousand calories of honey roasted peanuts. Meats are usually a great option for getting and staying lean, but beside the ones mentioned above, most are not ideal. For example, meat balls are usually loaded with white bread crumbs and soaked in sugary sauces. Again, use caution and limit your amounts. Never lose sight of the whole purpose of the party in the first place – the people. Stay focused on enjoying good laughs, stimulating conversations and good times with friends, family or co-workers. If you have any other strategies that have helped you stay lean through December, I invite you to share them in the comments section below.